Here are our top tips on things to consider when buying. Discuss prospective buys on our message boards, too. For the definitive view to an ex military get an LRO buying guide. See below for details. Chassis rot. 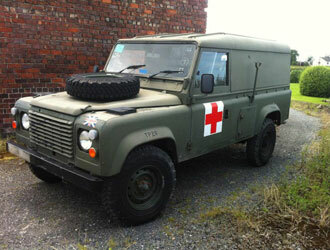 Most have excellent chassis, having been looked after in service, but you still need to check them. Bulkhead top corners. Rust appears where the water runs off the screen, and dribbles down the bulkhead. Swivel bearings/seals. Rusty chrome balls will destroy seals causing the housings to leak and bearings/CV joints to wear prematurely. Interior trim. It's a bit Spartan, but shouldn't be tatty. Doors. Bi-metallic corrosion perforates door skins - easy to spot through lack of door trim. Clutch. Depress the clutch with the engine running and select all of the gears. Noise indicates worn clutch release bearing. Propshafts. Check for wear by grabbing the prop at the ends and pulling, pushing and twisting them. Replacement UJs are cheap. Smoke. Lots of black smoke indicates a worn engine - will it get through the next MoT? Radiator. The radiator could be 20 years old, so look for missing fins and water weeping from it. Bushes. Essential for good handling, worn bushes will cause sloppy handling and poor road holding. For details email: landrover.owner@bauermedia.co.uk or call: 01733 468582. 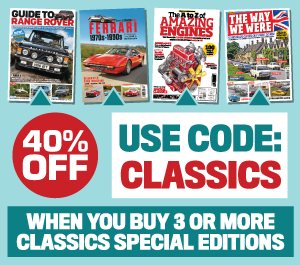 Get a Buying Guide full of vital advice and tips as a pdf showing the original pages from our world-beating magazine. Cost: £5.